CHATHAM, Mass. — The Cape Cod League all-star game is college baseball’s de facto midsummer classic — the best single-game showcase of college baseball talent on the calendar every year. 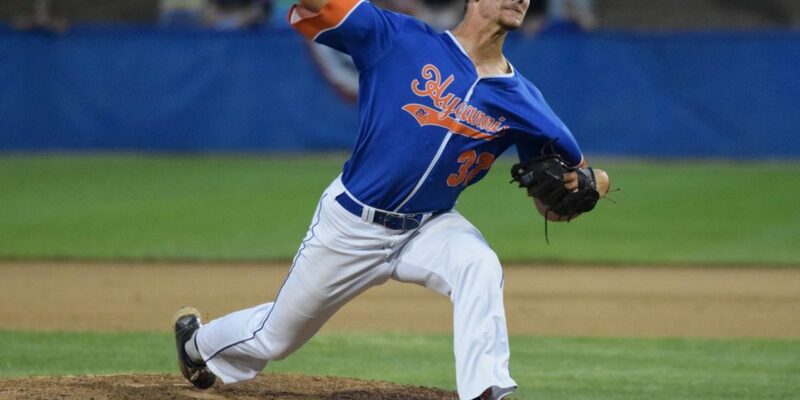 The Cape League is more highly concentrated with major league-caliber talent than any other summer league or even any of the power-five conferences; after all, there are just 10 teams in the Cape League that draw from all of the nation’s best programs. Even so, the quality of the talent in the all-star game can fluctuate somewhat from year to year because the Cape League coaches who set the rosters feel a duty to reward players who have performed on the Cape, regardless of their prospect status. Every year, there are a few omissions from the Cape League all-star game rosters that make scouts shake their heads, and this year scouts were disappointed that they did not get a chance to see three of the league’s premier arms — Brady Singer (Florida), Corbin Martin (Texas A&M) and Colton Hock (Stanford) — in the all-star game. But even without that trio, Saturday’s all-star game at Chatham showcased a strong collection of talent, with considerably better arms than last year’s game featured. Two of Saturday’s biggest standouts were Hyannis Harbor Hawks teammates Garrett Cave (Florida International) and Zach Rutherford (Old Dominion). Cave showed electrifying stuff and struck out all three batters he faced in the eighth inning, while Rutherford homered, doubled and had a sacrifice fly to win MVP honors for the West squad, which blanked the East 8-0.